Just Waiting Around for a Baby So I Can Get Even Less Sleep Than I do Now. Which is Like...None. | Do Try This at Home: Just Waiting Around for a Baby So I Can Get Even Less Sleep Than I do Now. Which is Like...None. Just Waiting Around for a Baby So I Can Get Even Less Sleep Than I do Now. Which is Like...None. I can't really explain my absence besides being a really poor excuse for a pregnant person. I've sat down to post many times but instead succumbed to sheer exhaustion. 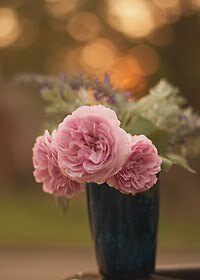 Please excuse the little pictures of flowers in this post. For some reason, blogger is no longer letting me space paragraphs the way I want to and I'm tired of trying to figure out why not. Anyway, since I'm hardly going anywhere except home and work, I haven't seen so many signs. And so that's probably nice for people with icky feet to have a special place to go. Or maybe they just say "Ew" to all feet in general. Who knows? And remember this place with the helpful visual aid about the end of time and all the required math that goes with it? 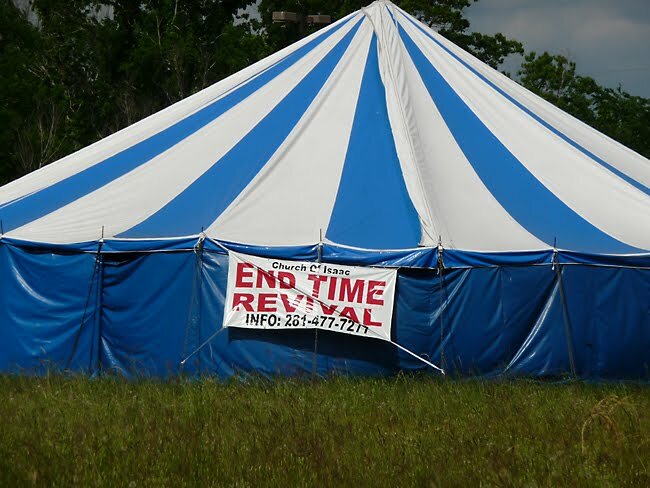 It turns out they're having an "End Time Revival"! Which just begs all kinds of questions like..."Is it really the end if it can be revived? Doesn't that make it not the end?" And maybe even more importantly, "Do you still have to do all that math?" Meanwhile the new-baby-to-be has spent the past five days getting a few more things off her in-womb check off list. Such as, she's been in a THIRD car accident (someone backed into The-Guy-Who-Knows-A-Song-About-A-Chicken's car) and been in another carbon monoxide evacuation. Baby should be making an appearance around here sometime between now and a month from now, but hopefully closer to now. I think the paragraph thing might have to do with the "Post Settings" thing on the right, when you write a post. There, you click on "Settings," and make sure you have "Press "Enter" for line breaks." Maybe that will solve it? Doesn't matter. Flowers are cool too. Good luck! Thanks Oren! I had tried changing to html & didn't see anything, tried putting lots of spaces...all kinds of stuff! Finally decided flowers were easier but I'll have to look for that next post! Which at the rate I'm going...will have a new baby in it. I figured out that when I start a new post, I do it in the html option - that way I can re-size my pictures. I then go to composition to add paragraph spacing and alignment. You are in the home stretch - hang in there and let that baby percolate as much as possible. I don't know where I've been but I didn't know you were expecting! How wonderful! As usual, you made me chuckle. No, it's not the end if it can be revived!!! LOL! Take care of yourself, and stay away from crazy drivers! Maybe if you sleep when the baby sleeps , you'll get more sleep than now. There's a fancy womans hairdo place in the US malls, I can't really read the sign, but it looks like "ik". Who would want their hair done at "ik"? (With a small "I". Thanks Nicki! I tried switching back & forth between HTML & "compose" or whatever it is, but it never got me anywhere. The weird thing is I usually don't have to switch - it usually lets me resize the pictures in whatever it is they call the non-HTML. But hopefully Oren/BloggerFather's suggestion will work for me. Arizaphale - One thing I did like about the new format is that now it puts the pictures in where I'm typing instead of putting every single one at the top of the post & me having to move them individually. That part was nice. I can't wait for the new baby posts either! WAY better than pregnancy posts...I mean, who wants to read that much about puke? Funny Mark! And on the sleep when the baby sleeps...that's what I'm hoping. Although I've never been the type of person who could take a nap just because I was tired and happened to have time for a nap. It's always one of those things where the sleep has to want it just as much as I do. Or something. Blogger Father, you rock! I had been having trouble with paragraphs too and was drawing lines in my posts. Go ahead...tell me this is about FOCK EW MITT. Go ahead...tell me this is about PPOS- DESASSOSSEGOS . You are related to NDISCEDO . You 're with HELSU- THELLSO . You got that NICKDOBO with DEBSTEDO- SUMANDO. With ROBERTO GROSSATESTA- RENE COLATO. I would so pull over and be reading that entire sign and taking picture and writing down comments. Because, you know, if the world is coming to an end....I want to be as informed as possible. Thanks Reds! Just waiting now - it can be any old time. Staci - Yeah, I think that "sleep when the baby sleeps" sort of semi-worked for me for the first baby. Kind of. After the first one though, all bets were off. And wait - we can't include clickable links anymore?!?! Well, hopefully I update in LESS than a month so I can find out these things for myself. Wow, you have really had a rough go around with this pregnancy. Funny sign, but if I had to massage peoples feet, I would be saying ewwww as well, lol. Ah, more diapers. I'm just trying to figure out how 'that' happened. In my youth I attended numerous 'End of Days/Times' revivals...they're all good if they can keep marketing them. I guess if they can't they can always admit they were right to whoever's around after the fact. Can't wait to see the baby pictures! I had all kinds of clever comments I was about to make, but they all completely went out of my head after reading "anonymous's" comment. 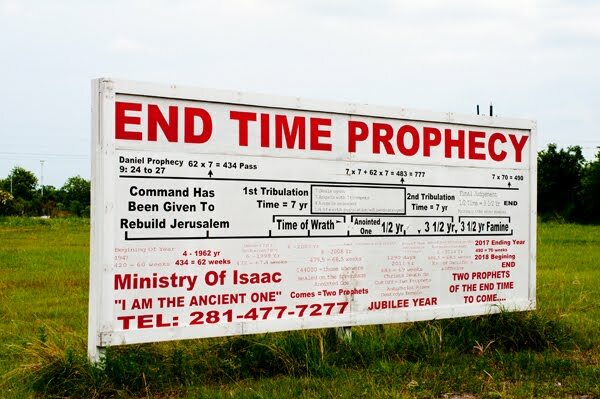 Somehow, it seems really appropriate to be attached to a posting about end times! Maybe that's what the math did to the anonymous poster. But, are you REALLY related to "NDISCEDO"? Posting is a pain on blogger. Shift return in view mode will put page breaks. Congrats on the little bundle coming your way!